In the previous post, we saw EdgeRank helps Facebook highlight the most relevant updates from your friends and contacts in your Newsfeed. 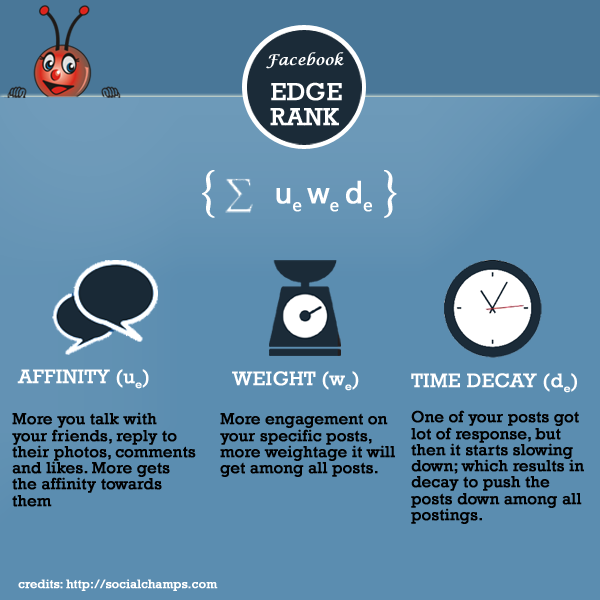 Moving ahead, we look at how Affinity, Weight and Time Decay combine together to provide the most relevant updates in the Newsfeed. Affinity and Time Decay remaining constant, content with more ‘weight’ will show up more often in your newsfeed. Social networking experts agree that images, links and videos are three types of content that rank higher than other types of content as far as Edge Weight is concerned. Edge Weight assesses the relative importance of different types of content and determines which type of content should show up in your Newsfeed. A photo or video will have more weight as compared to a status update or a Like. This is why you often see snaps and videos shared by your contacts on FB. Hold on. What about the fact that your Newsfeed often highlights status updates from your family members? Well, Edge Rank is a function of Affinity, Weight & Relevance. Even a Like or a status update from a contact with high affinity will show up on your page. It is all relative, you see. Old is Gold? Not on Facebook. FB is all about new and latest content. Older updates get pushed down while more recent updates get highlighted at the top of the screen. This is probably the reason why the week old profile photo update from your sister languishes at the bottom while engagement snaps added by an acquaintance show up on top. The acquaintance will have less ‘Affinity’ to your profile as compared to your sister but his or her content is relatively recent and that will push it to the top. 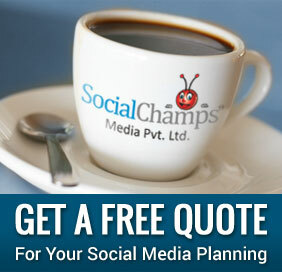 Post stuff on FB more often and you will improve your chances to show up on the Newsfeed of your friends and contacts. Post once in a while and chances are high that people will never see you on FB. Relevancy is relatively more objective as compared to Affinity and Weight. A link may have high Weight for a FB user who never clicks on images. Affinity may change with time. However, relevancy and time decay are easy to predict and manipulate. So, Edge Rank considers the combined impact of Affinity, Weight and Relevance. There are many variable factors involved and one may be forgiven for thinking that this is too simplistic an approach for such a complex issue. Well, here is a simple test. How many times have you logged into FB only to find old, boring and repetitive stuff on your Newsfeed? Chances are… never. There lies the proof that the Edge Rank is doing a good job.